The Kilauea volcano on the Big Island of Hawaii has been setting off small earthquakes, creating gas-emitting fissures and releasing flows of lava this month that have destroyed dozens of homes and forced the evacuation of at least 2,000 people. But some scientists look at the basalt-rich lava fields around Kilauea, which could yet produce more explosions in coming days, and see something else: a portal to Mars, whose surface is mostly composed of basaltic rocks. 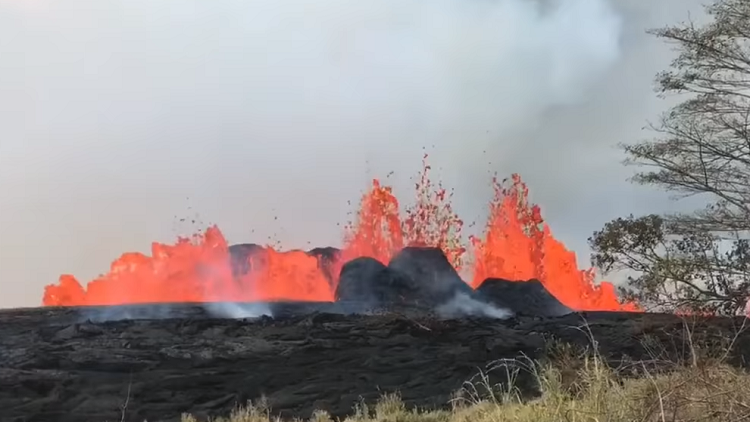 A team of biologists, volcanologists, astronauts and other specialists has periodically conducted fieldwork in the Kilauea fields since 2015 as part of a four-year, NASA-led research project. Among the questions they are investigating is how any life on ancient Mars, if it did exist, may have developed. Basaltic terrain can host a diverse range of microorganisms, leading scientists in Hawaii to focus on the bacteria and other organisms living there, and the factors that enable them to survive. “The reason why there continue to be questions, and programs like ours that go out and try to answer the questions — Was Mars habitable? Is it currently habitable? — is that nobody really knows,” said Darlene Lim, a geobiologist at the NASA Ames Research Center in Silicon Valley and the project’s principal investigator. Dr. Lim said an open question is how astronauts exploring Mars should communicate their findings back to earth despite a one-way communications delay — what she called “planetary latency” — that can be anywhere from four to 22 minutes. Scientists with the project — which is officially called Biologic Analog Science Associated with Lava Terrains, or Basalt — say that some of their research for the project will be published later this year in the scientific journal Astrobiology. The project is one of several continuing ones in and around Hawaii’s volcanoes that have potential interstellar applications. Another is a NASA-funded behavioral research study in which teams of people live in isolation for months at a “Mars-like” site on the slope of the Mauna Loa volcano, down the road from Kilauea. The study was partly designed to gauge how humans deal with boredom. “They have to pretend that they can’t go outside without donning rather cumbersome suits,” Scott Rowland, a geologist at the University of Hawaii at Manoa who helps run a separate “planetary volcano-analog workshop” for graduate students, said of the study’s participants. Dr. Rowland said that while no Martian (or, for that matter, lunar) volcanoes are active, Hawaii’s volcanoes are useful to scientists because they have newly formed faults, craters, calderas and other features that can be studied up close.